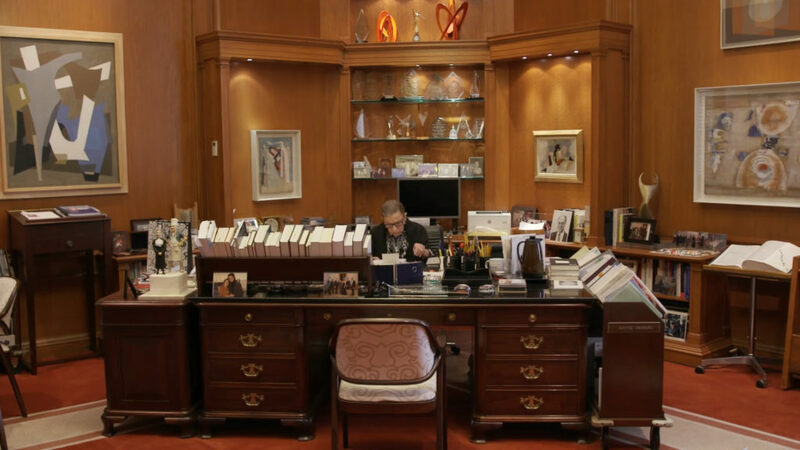 I went to see RBG with very little knowledge about Ruth Bader Ginsburg, the US Supreme Court Justice this biographical documentary is about. I knew she was one of the “good ones” sitting at the highest judicial position in the United States, meaning that she was leaning more progressive than most of her peers, but I didn’t know exactly how much. In the movie, Betsy West and Julie Cohen do a good job at telling her story, from her modest immigrant origin, her painstaking rise to the highest honor in her profession dotted with personal tragedies, and her current life as a Supreme Court Justice under the Trump administration. But more importantly, they outline Ginsburg’s constant fight for women’s right, on both sides of the Supreme Court, at times when feminism wasn’t a cornerstone of public discourse. The movie shows how popular she is wherever she appears, whether it is at the opera or at panels in conferences and universities. How inspiring she is for young men and especially women. And rightfully so. Under her frail appearance, she’s a work powerhouse who at one time in her life had to simultaneously juggle Harvard studies, raising a child, and providing for her cancer-stricken husband. And her husband gave her back and more. 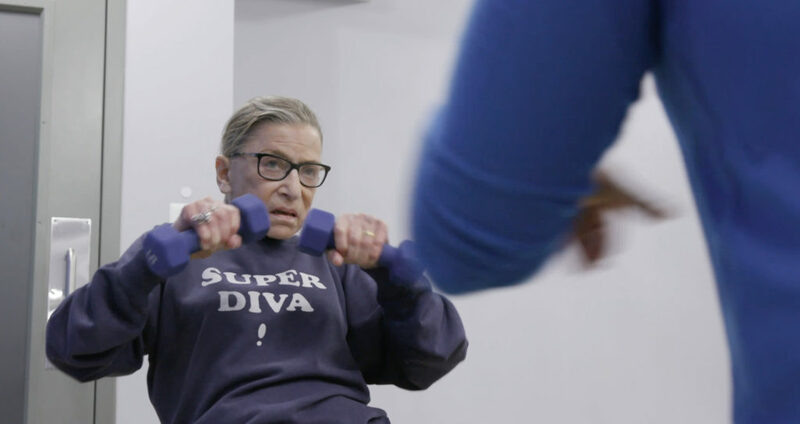 Without overshadowing her many accomplishments as a lawyer, judge and Supreme Court Justice, the movie highlighted his pivotal role as an enabler for Ruth Bader Ginsburg. First of all by treating her like an equal, with a separation of the tasks based on their own affinity, away from gender stereotypes reigning in the 50’s. Then by prioritizing her when she got appointed judge and finally by spearheading a campaign to get her on the shortlist for Supreme Court Justice nomination which she rightfully earned after an interview with then-President Bill Clinton. I’m now used to the usual and sad trope of women succeeding against all odds, facing tremendous resistance both outwardly and inwardly, thwarting their peers’ unjust hostility and their conditioned self-doubts. 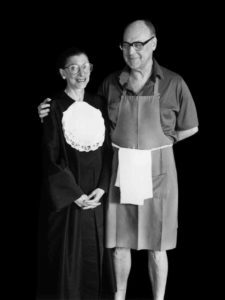 On the contrary, RBG is a refreshing story about a successful woman and her supportive husband. And while Ginsburg certainly overcame many obstacles in her life and deservedly earned her status of popular role model, her husband constitutes an equally compelling role model for men, able to combine a successful career, support their spouse and share house chores. Still, I didn’t leave the theater overjoyed. As the movie itself says, she wasn’t supposed to become such a famous Supreme Court ruling dissent writer. And many of the women’s rights breakthrough she helped bring about during her years as a lawyer and judge are now in jeopardy and Ruth Bader Ginsburg’s never seemed so helpless, both physically and politically. Even if she outlives Trump’s presidency and a hypothetical future Democrat president gets a progressive Supreme Court Justice nomination past the Senate, nothing will replace the stolen pick from Barack Obama due to Mitch McConnell’s stalling when Justice Antonin Scalia passed away. I still recommend watching this movie about a formidable woman and her matching husband, both overachiever, cancer survivors and aggressively progressive at a time when she wasn’t supposed to be so and he didn’t have to be so.